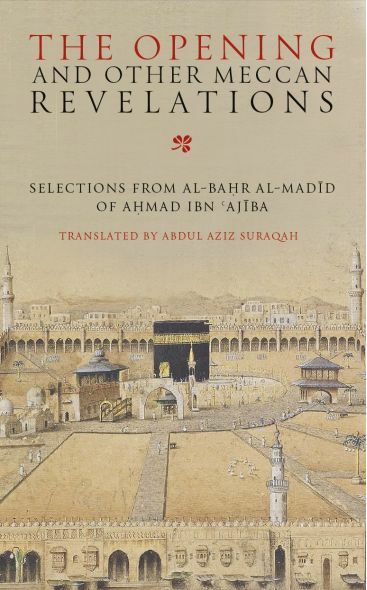 Renowned for its unique style, Ibn Ajiba’s commentary of the Qur’an, Al-Bahr al-Madid (The Vast Ocean) combines traditional exegesis with spiritual contemplation, exploring the inner meanings of the sacred text. 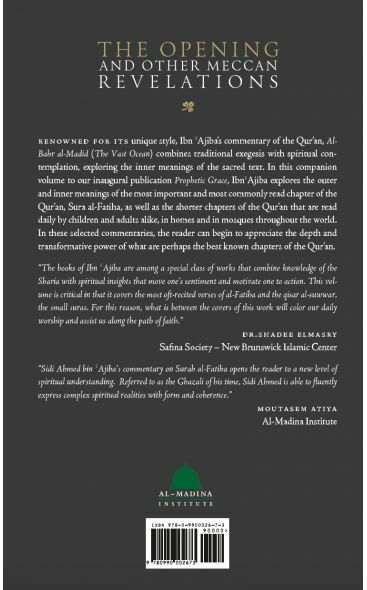 In this companion volume to our inaugural publication Prophetic Grace, Ibn Ajiba explores the outer and inner meanings of the most important and most commonly read chapter of the Qur’an, Sura al-Fatiha, as well as the shorter chapters of the Qur’an that are read daily by children and adults alike, in homes and in mosques throughout the world. 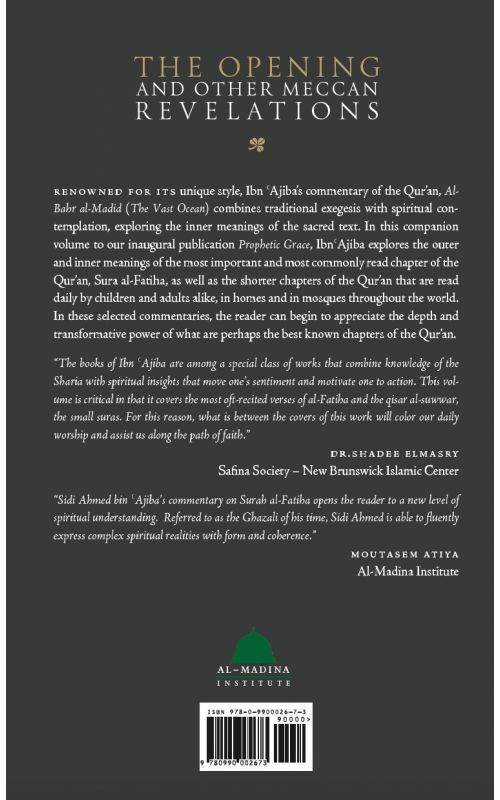 In these selected commentaries, the reader can begin to appreciate the depth and transformative power of what are perhaps the best known chapters of the Qur’an.